Yes, the GOAT is in the newly released Pokémon Go, and boy, is he turning up in some pretty unexpected places. As you may already know, Pokémon Go is an augmented reality game that lets you catch Pokémon located in the real world. (We wrote our impressions here, if you’re curious.) Right now, Pokémon Go is out in select areas, and players are taking to social media to share their adventures. While folks are finding a wide variety of things, one of the funniest discoveries is that finding a Magikarp is almost always funny as hell. 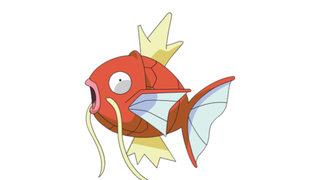 Now lets see how long it takes someone to find Magikarp inside a toilet.